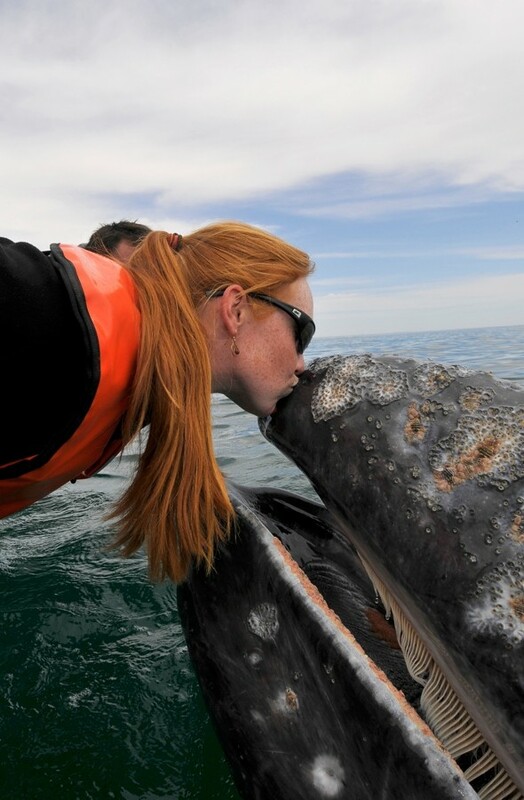 Can I kiss the ‘normous whale? Could I perch upon its tail? Would he take me on his back? Hunting on its whaling trip? From the dangers creeping near? Would that save him from all harms? Need assistance from the least? What is the largest animal to have ever lived on the earth? Much larger than an elephant? Bigger than the biggest dinosaur? The blue whale, of course! For such a gigantic critter, this mammal eats such tiny things. The krill, which make up most of the blue whale’s diet, are tiny shrimp-like creatures. The whale takes a huge mouthful of ocean water where lots of krill are swimming around, and filters its dinner out with its baleen strainers. Whales sing loudly under the water, and their songs can be heard by other whales as far as 1,600 kilometers away; that’s as far as from Seattle to San Luis Obispo, which is farther than most of us can yell. And they communicate because they care. Blue whales appear to form close attachments over their lifetime of 80 to 110 years… Yes, they can live to be 110, as long as they aren’t captured by a whaling ship. 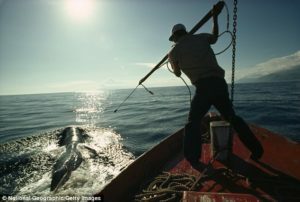 Blue whales were once hunted so extensively that they were in danger of disappearing altogether. Now, because of the efforts of scientists and conservationists, their numbers in some areas are recovering. Other whales are truly endangered. Only 79 Southern Resident Killer Whales are left. Not many Right Whales are left, even the right-finned ones. 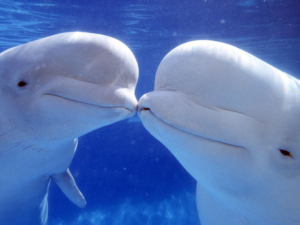 Belugas and Bowheads are endangered. Only 100 Western North Pacific Gray Whales remain. 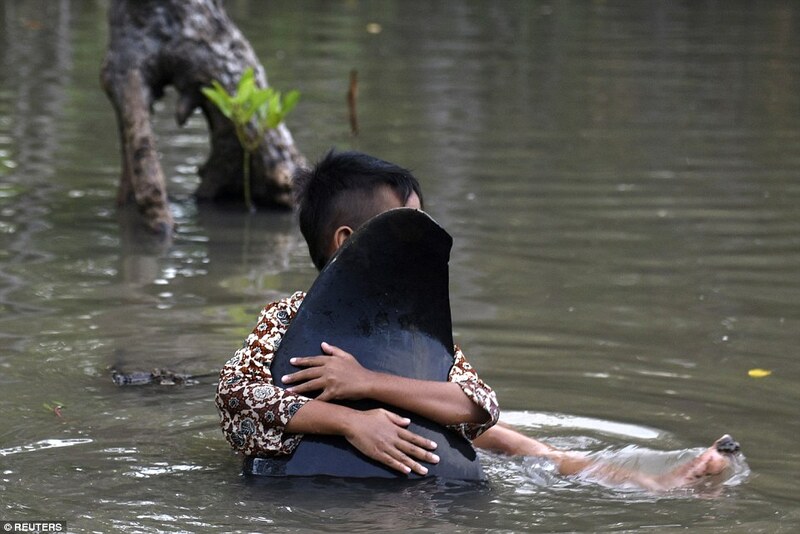 These giant, beautiful creatures do need our help to survive. Oceana ( http://oceana.org ) works to restore and protect the world’s oceans through policy advocacy, science, law and public education. The Cousteau Society ( http://www.cousteau.org ) is dedicated to the preservation of nature for future generations. The Ocean Conservancy ( https://oceanconservancy.org ) seeks to inform, inspire and empower through science-based advocacy, research and public education.